The Garessina (also Muma, Garessio) is a transhumant meat breed found in southeastern Cuneo Province (Piedmont), mainly in Val Tanaro and Val d'Inferno. A few may also exist in the valleys of the Negrone and the Casotto, where they formerly were found in greater numbers. 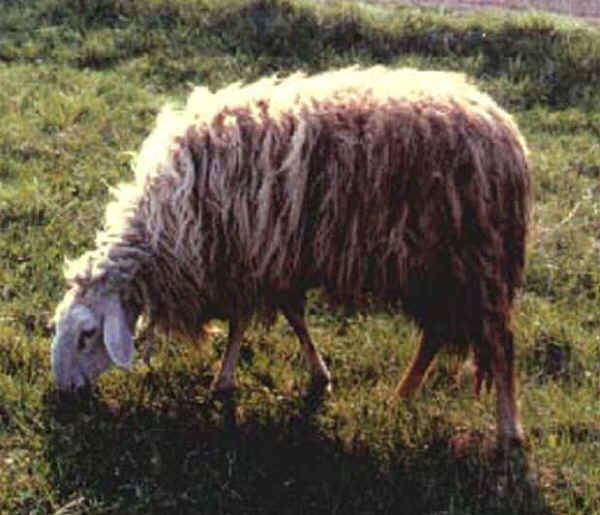 The Garessio are classified an Apennine breed, showing traces of Merino and French Alpine ancestry. The breed is similar to the Sambucana, but smaller. Weight of lamb at birth is 3 kg, at 1 month 6 kg, and at 3 months 20 kg (BATICLE. 1974; MASON, 1967). About 90 percent of income is derived from the sale of lambs for slaughter and about 10 percent from the sale of wool. A few families still make cheese from the milk. Reproduction: on the average, ewes lamb twice in three years.